Of the various drugs that have been proposed as being useful in the treatment of chemical dependence, ibogaine is almost certainly the one that would currently seem to offer the greatest real potential. Ibogaine is a slightly psychoactive indole alkaloid derived from the Tabernathe iboga plant native to Central Africa. Members of the Bwiti religion, an indigenous group, use the plant for a variety of social and religious purposes. Notably as the central component of a “rite de passage” initiation ritual intended to confer the status of adulthood upon the initiate. 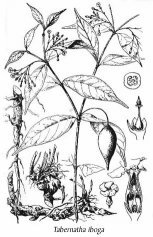 In the West, ibogaine is usually administered in the form of the hydrochloride – a fine off-white powder either synthesised or chemically extracted from the root bark in a laboratory. When administered to persons seeking to beat addiction to heroin, methadone, cocaine or alcohol, a single dose of ibogaine typically achieves the following: Firstly, complete removal or severe attenuation of the symptoms of withdrawal, allowing painless detoxification, (occurs with approx. 90% of subjects). Secondly, removal of the desire to use drugs for a period of between one week and three months, (occurs with approx. 60% of subjects). And, thirdly, the experiencing of pyschological insights into the roots of drug-using behaviour that, combined with suitable therapy, can lead to long-term drug abstinence, (occurs with approx. 30% of subjects). 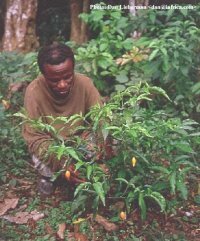 Ibogaine is not itself addictive, and may thus be administered in monthly or similar doses over a period of time to help preserve a drug-free state. It should be noted that very few people beat addiction permanently through the sole use of ibogaine. However, long-term abstinence is frequently achieved by combining ibogaine with a suitable therapy. The discovery that ibogaine could block drug withdrawal is usually credited to Howard S. Lotsof – a New York based former drug user who took ibogaine in 1962. Lotsof, then a heroin user, took ibogaine believing it to be a new recreational drug. But, 30 hours later, suddenly realised he wasn’t experiencing heroin withdrawal, and had no desire to seek drugs. Subsequent casual experimentation revealed that this effect was replicated for other heroin users. Some 20 years later, Lotsof returned to his discovery and set about trying to bring it to the market. He formed a company, NDA International; filed patents for the use of ibogaine in the treatment of addiction; and began to carry out treatments to better evaluate the drug’s potential. By this time, however, ibogaine had been made a Schedule 1 restricted substance in the USA. (Many drugs regarded as being psychoactive were banned during the late sixties. Note that ibogaine is uncontrolled in the UK and most of the rest of the world). Consequently, Lotsof chose to carry out experimental ibogaine treatments in Holland. 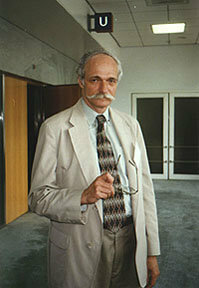 Jan Bastiaans, a Dutch psychotherapist, partnered him. And, over the early years of the nineties, they treated some 30 addict volunteers. In 1991, the US National Institute for Drug Abuse, (NIDA), impressed by case-reports and animal studies, began studying ibogaine with a view to evaluating its safety and creating treatment protocols. 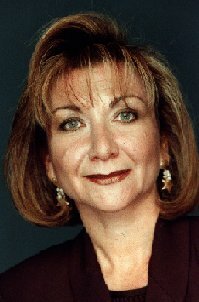 In 1993, the US Food and Drug Administration, (FDA), who oversee the development of new drugs, approved clinical trials with ibogaine, to be carried out by Dr Deborah Mash of the University of Miami School of Medicine, on behalf of Howard Lotsof’s corporation, NDA International. Up to this point, the development of ibogaine had been proceeding smoothly, but suddenly things went sour. The death of a young female heroin addict during treatment in Holland brought an abrupt end to the Dutch project. A subsequent inquest did not find the project organisers guilty of negligence. But the lack of scientific knowledge about the effects of ibogaine hindered the establishing of the actual cause of death, though it was believed that she may have surreptitiously smoked opiates during treatment. The approved clinical trials commenced, but contractual and funding problems that arose between NDA International and the University of Miami brought them to a close before completion, (note the drug’s safety was not an issue). A lengthy legal battle between the two ensued, and developmental work came to a standstill. In March 1995, after several years spent progressively becoming more interested in ibogaine, a review committee at NIDA suddenly decided to suspend further activity with the drug, apparently having been influenced by critical opinions from pharmaceutical industry representatives. Officially, it was reported that the death in Holland was of concern, and that the government agency were disappointed that ibogaine was only shown to keep people off drugs for a period of months, not permanently. Howard Lotsof has subsequently pointed out that the death, whilst tragic, was likely caused by opiate use and, with regard to the second point, that any drug that could put, say, cancer or AIDS into complete remission for a period of months would be being developed as a matter of national urgency. Over the last five years, very little has happened. The escalating legal battle between NDA International and the University of Miami, each suing the other for alleged breaches of contract, appears to have ended with the bankruptcy of the former. Yet, as of October 2000, the precise outcome is not clearly established. A couple of small countries, notably Panama and St Kitts, have made ibogaine legally available at private clinics. But only at prices starting around UK£7,000 per treatment, (approx US$10,000). And so, as of October 2000, ibogaine remains in a legal nowhere-land, desperately needed by hundreds of thousands of addicts worldwide, but, tragically, still little closer to becoming legally available. What are the real problems? Ibogaine development has been beset with holdups for years. The legal disputes between backers and scientists may now be close to resolution, but ibogaine still needs financial backing from the private sector for it to have much chance of making it to the mass market. The business of bringing new drugs for humans on to the market is traditionally in the hands of the private sector – the pharmaceuticals corporations. And the problems that corporations appear to have with ibogaine are many. Firstly, as a drug derived from a natural source, patent options are more limited than they would be for a drug that has to be lab-synthesised. Potentially, this greatly reduces the level of financial return that the drug could provide, an important concern when one considers the degree of advance backing needed to bring a new drug to the market. Whilst there are legal provisions, such as ‘orphan’ drug legislation, to encourage companies to develop drugs that could be socially useful, so far no corporation seems interested in taking advantage of them for ibogaine. Secondly, and relating to the first, drug companies appear to be concerned that the target population for the drug’s administration, drug dependents, are insufficiently financially stable to present an adequate client-base for sustained financial return. A concern that is reinforced by the fact that ibogaine is not a maintenance drug, but is instead usually only administered once, or as a short course over a long period. Thirdly, industry insiders relate that there appear to be concerns that developing medication for groups that are negatively socially marginalised in the way drug addicts have become, (largely through media activity), may cause a deterioration in their overall public image, again with a knock-on effect to profits. Fourthly, some believe that bringing an addiction medication of ibogaine’s potential to the wider market may present ‘conflict of interest’ problems, of dubious moral stature, for other corporate entities involved with the sale of licensed recreational substances such as alcohol or tobacco. And finally, there are writers who believe that the prevalence of drugs like heroin in our society is, to some degree, sanctioned at high levels of government, on the grounds that such drugs serve to both socially and politically marginalise certain elements of the population in a manner that is advantageous to the maintaining of a high degree of social control. And so there is little incentive for such bodies to forward the development of anything realistically likely to combat heroin use. All in all, the above relate, wholly or in part, the reasons why ibogaine, potentially of such phenomenal benefit, still remains so far from the market. Without corporate backing? In the absence of corporate funding, about the most likely route by which ibogaine might become legally available locally is via government-sponsored test projects carried out by clinicians. Local government in most countries has the power to back a suitably presented project of this nature. And it is recommended that anyone interested in doing activist work for the ibogaine cause should work to promote awareness of the drug among local drug dependency units, doctors who specialise in treating addiction and local government offices charged with supervising drug treatment strategies. Projects of this nature, should they be started, would allow addicts access to safe, low-cost treatment; and, as each project generated more experience and data, so the same could be made available to clinicians and government agencies in other countries. In addition, the medical laws of some countries allow registered practitioners to prescribe an unlicensed medication like ibogaine, usually providing the subject has given their ‘fully-informed consent’. This is another route that an individual seeking treatment with ibogaine might pursue.